The first thing I thought of as I prepared this episode was a song from Sgt. Pepper's Lonely Hearts Club Band ... 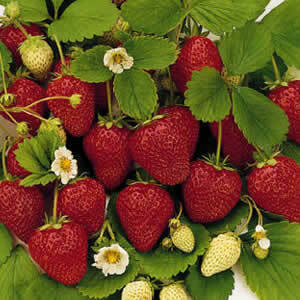 Strawberry Fields Forever ... by The Beatles. Isn't it a wonderful piece of music? I am not a big fan of The Beatles, but they have for sure great songs. I have sought they Internet for other songs on strawberries, but I didn't found other songs or musical compositions about strawberries, maybe you know other songs? And there is the other meaning of Strawberry to which the song by The Beatles refers at a location near Central Park West between 71st and 74th Streets. 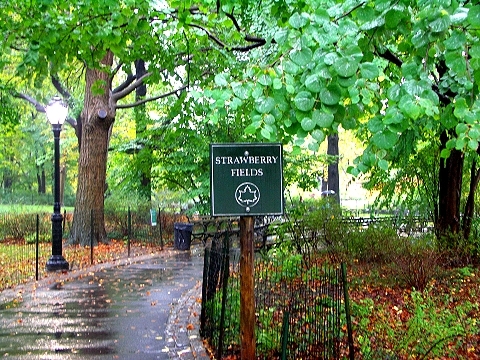 Strawberry Fields is a 2.5 acre area of Central Park that pays tribute to the late Beatle, John Lennon, singer, songwriter, musician and peace activist. 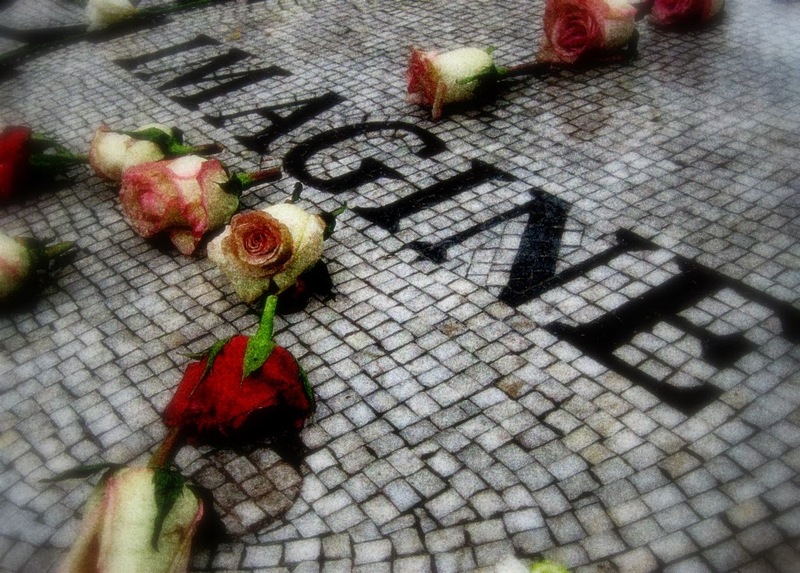 The iconic black and white Imagine mosaic, designed by a team of artists from the Italian city of Naples, lies in the centre of Strawberry Fields. Named after another famous song by John Lennon, "Imagine" evokes a vision and hope for a world without strife, war and conflict. 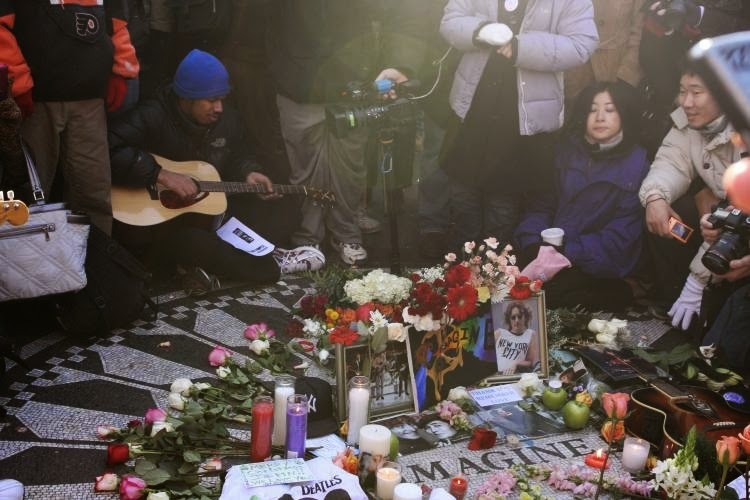 Additionally, there is a bronze plaque that lists the more than 120 countries that planted flowers and donated money for the maintenance of the area; they have also endorsed Strawberry Fields as a Garden of Peace. Credits: Central Park New York "Strawberry Fields". What a wonderful place this must be ... this Strawberry Fields memorial park for John Lennon. 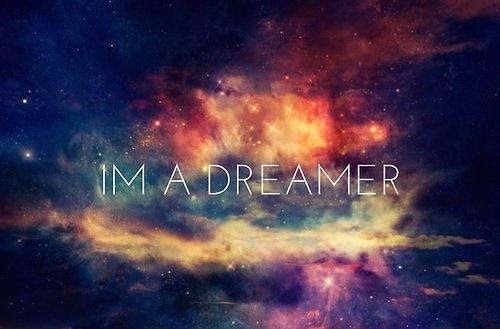 And to conclude this episode of Carpe Diem Haiku Kai I love to share the song "Imagine" by John Lennon with you all. I like this song and I have tried to re-built it into a haiku ... not an easy task, but I think I have succeeded. This episode is open for your submissions tonight at 7.00 PM (CET) and will remain open until July 1st at noon (CET). I will try to post our new episode, sunflower, later on. For now .... have fun ... be inspired and share your haiku with us all here at our Haiku Kai. Hope you don't mind...I went a bit less serious with my link-up today. What a lovely homage to the Beatles especially John Lennon. I was pregnant of my daughter when he was murdered. Such a tragic loss and yes, he was my favourite of the Beatles too. I loved his poetry and his writing inspired me as a teen.